Strengthening of bilateral relations between the two countries in the areas of nuclear energy, education, tourism, trade and investments. The two delegations also deliberated on issues of peace and insecurity within the African Continent and middle East as well as cooperation at the United Nations. 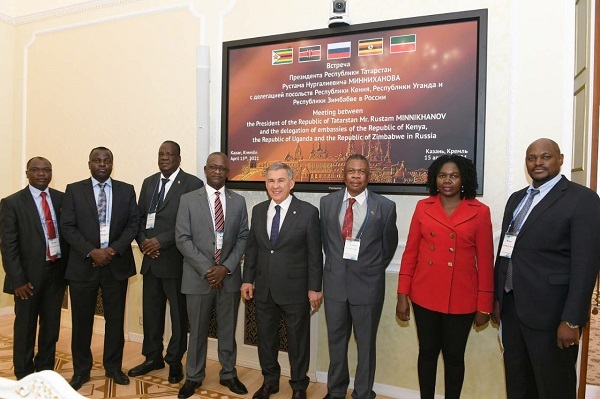 Russia continues to support the African Union and it's various initiatives as a continental organ. There will be Intergovernmental Commission on Economic, Science and Technical Cooperation meetings between the two countries held annually on a rotational basis in their capitals . The first session was held in Kampala from the 14 to 18 October 2014 .